 The Cole family have called Columbus home for the past 17 years. 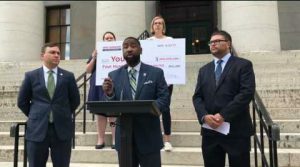 Michael Cole is asking for your support to take the fight for education, healthcare, employment pathways and affordable housing to the Ohio Statehouse as State Representative of the Ohio 26th House District. Increased investment in neighborhood safety and affordable housing. 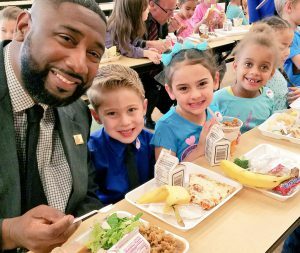 As a parent of two Columbus City Schools students, Michael Cole answered the call to action to strengthen student achievement and employee performance with common sense policies that foster collaboration, broader communication, and accountability. He ran for the board of education in 2013 and is currently serving in his second term as vice president of the Columbus City School Board. Michael Cole has been in the trenches for the residents of Columbus for over a decade. His work in public service began on the west side of Columbus where he lived for 10 years, serving the community as an area commissioner. In 2011, he worked statewide on Senate Bill 5 protecting collective bargaining rights for public-employee unions. Michael Cole earned a Bachelors Degree in International Studies with minors in Political Science and French from The Ohio State University and a Master’s degree in Communications and Leadership from Seton Hall University.